You are here: Home / Italian Dishes / Turnover? Pizza Roll? 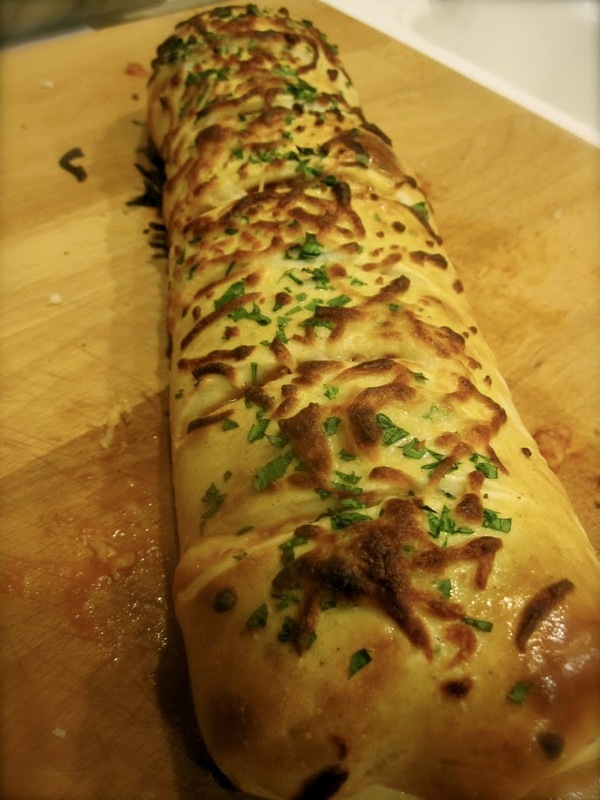 Stromboli! Okay, so we should just get this out of the way at the beginning. I am not referring to the Sicilian island of Stromboli, known for the “Strombolian eruption.” I knew you would all be confused, so I wanted to make that clarification. This is the food, not the island. Actually, fun facts, the island of Stromboli is one of three active volcanos in Italy, and is technically erupting as we speak. Except we’re not speaking. But, anyway, it’s erupting, and has been for the last 2000 years…fascinating, right? Yeah, anyway, not referring to that Stromboli. Unfortunately. Because it’s actually very interesting. True, this dish and the volcano/island share the same name – obviously, there is some connection there – but they have nothing to do with each other, other than being connected to Italy in some way. 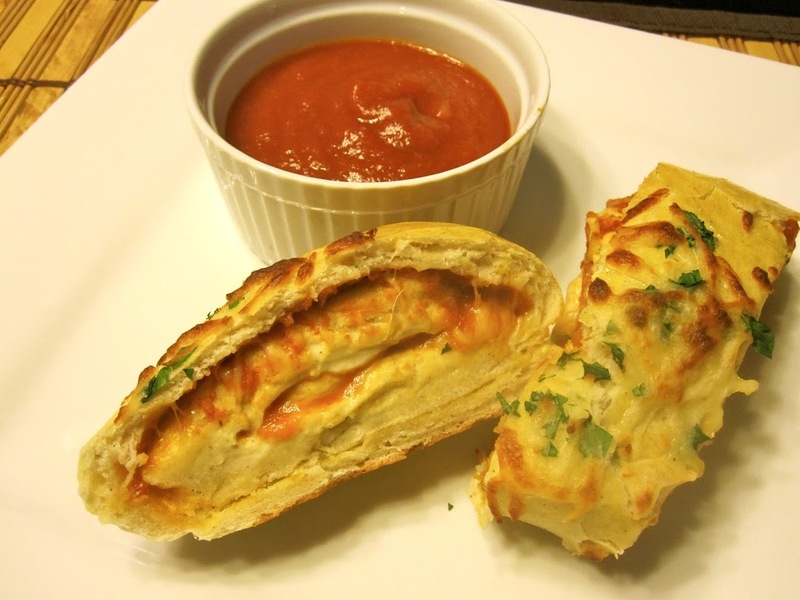 Supposedly, Stromboli uninterestingly originated in the United States, of all places, in the fifties, of all times. Really quite the let down. Italian food is supposed to have history going back thousands of years, sustaining Roman legions and Greek poets, nourishing devious Cosa Nostra, and most certainly having nothing to do with the US. Nevertheless, this particular pseudo-Italian poser is quite tasty and well worth a few moments of your time. It could soon be a new family favorite, disappointing history and lack of connection to continuously erupting volcanos aside. Definitely start by getting your oven preheated, especially if you have one that takes a while, because you’re preheating to 500 degrees. Cover a cookie sheet in parchment paper, and spread out the pizza dough in a rectangle nine or ten inches wide and 12+ inches long. Spread pizza sauce over most of the rectangle, leaving a few inches dry on the left long side of the rectangle. Cover the sauce in pepperoni. Cover the pepperoni with cheese (reserve a little cheese to sprinkle on top). Brush the dry strip of pizza dough with the egg. Fold the short sides of the pizza dough in roughly an inch, and then brush the newly exposed dry dough with egg as well. 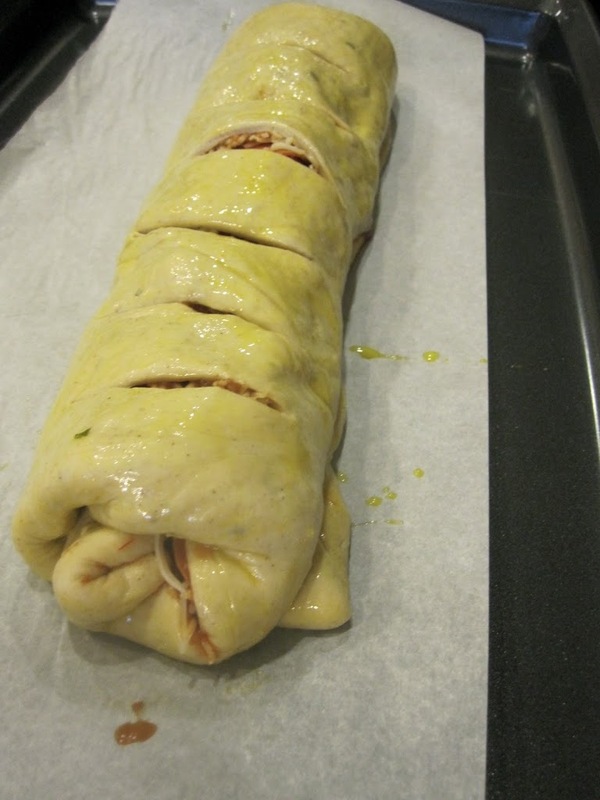 Roll the dough up from the long side covered with toppings to the dry side brushed with egg, ending with the dry side on the bottom of the roll. Brush the whole roll with the egg. Very carefully make diagonal cuts in the top of the roll with a sharp knife every two inches. 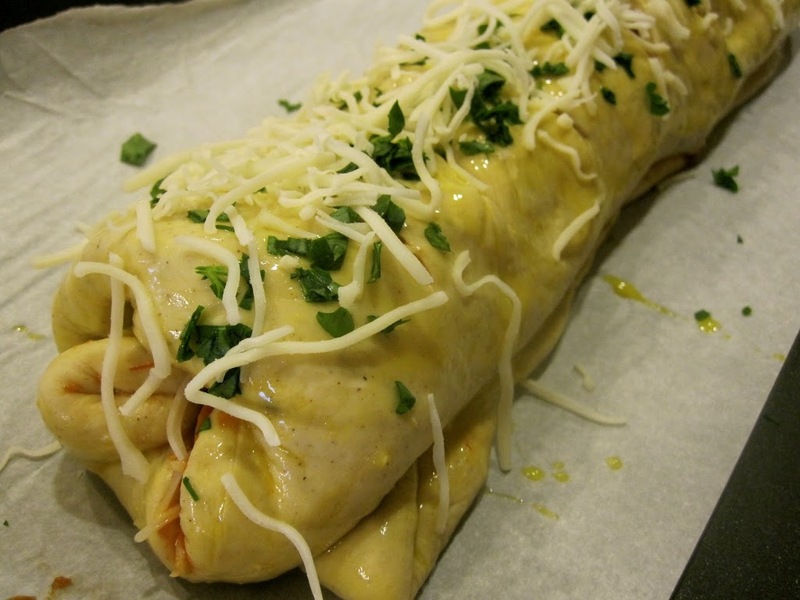 Sprinkle the parsley and reserved cheese on top of the completed Stromboli. 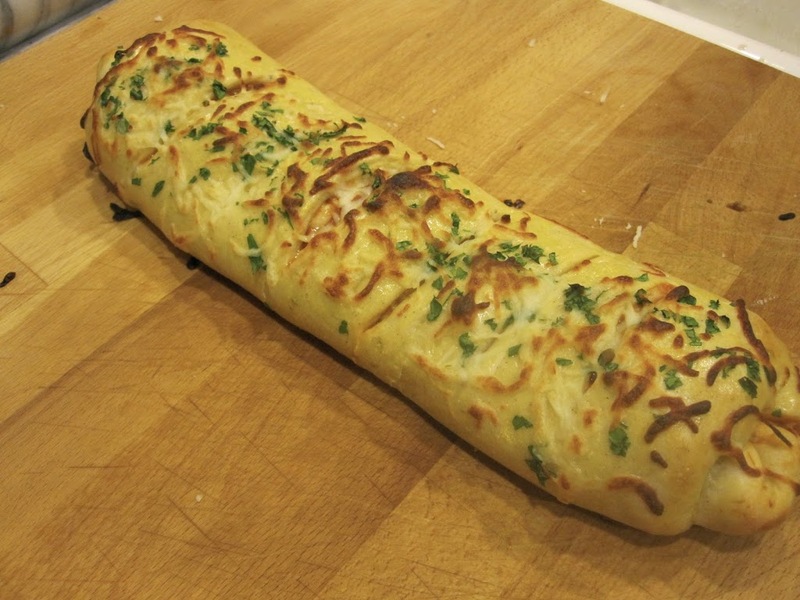 Bake for 8-10 minutes, or until Stromboli is golden brown. Let cool for five minutes, and serve as you wish (whole or sliced for dipping). 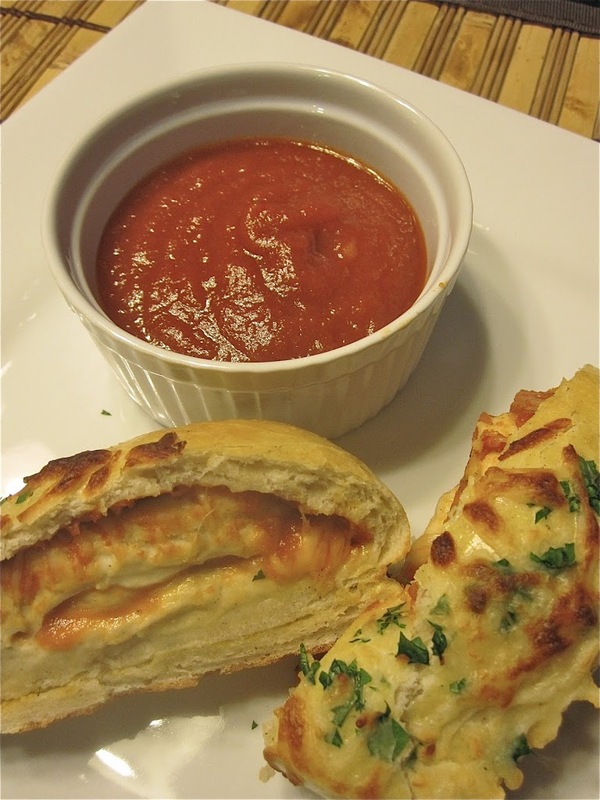 Funny - I've heard of (and had) the food stromboli, but I'd never known of the Italian island. And I don't care if these are Italian - I still want one! !